166 pages | 36 B/W Illus. Despite its worldwide following, high levels of investment and scientific complexity, there is a lack of evidence-based literature on the science of human performance in motorsport. Focusing on the physiological, psychological and sport medicine aspects of training, performance, injury and safety, The Science of Motorsport is the first book to provide an accessible and up-to-date resource for stakeholders at all levels of motorsport. • and considerations for pit crews and safety staff. 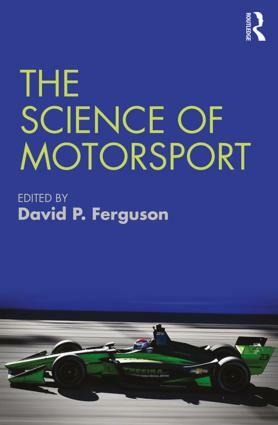 Accessibly written and made up of contributions from world-leading authorities in motorsport science research, this is a crucial resource for racing drivers, physical trainers, pit crew members and safety personnel, as well as researchers and students with an interest in applied sport physiology, applied sport psychology or sport medicine. David P. Ferguson is an Assistant Professor in the Department of Kinesiology at Michigan State University, USA.